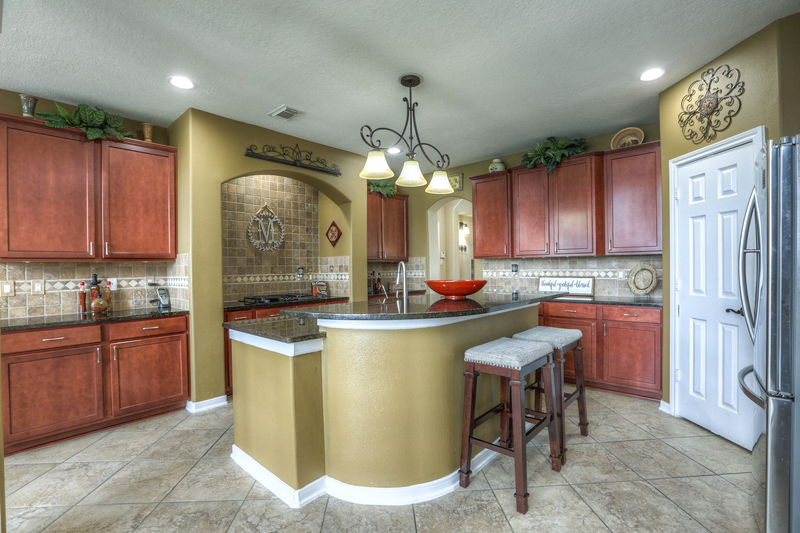 Looking for a beautiful home in the desired subdivision of Stonebridge in Pearland Texas? 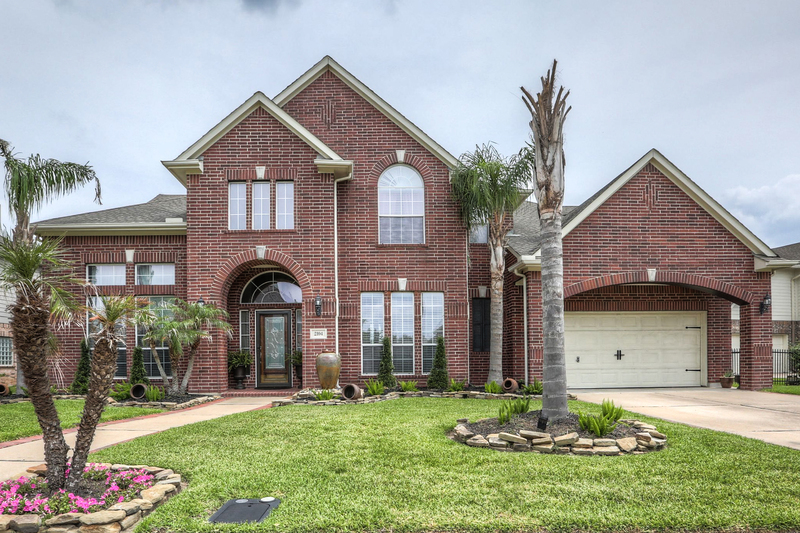 Stunning 2 story, 4 bedroom 3.5 bath lake front home with pool on an oversized lot. 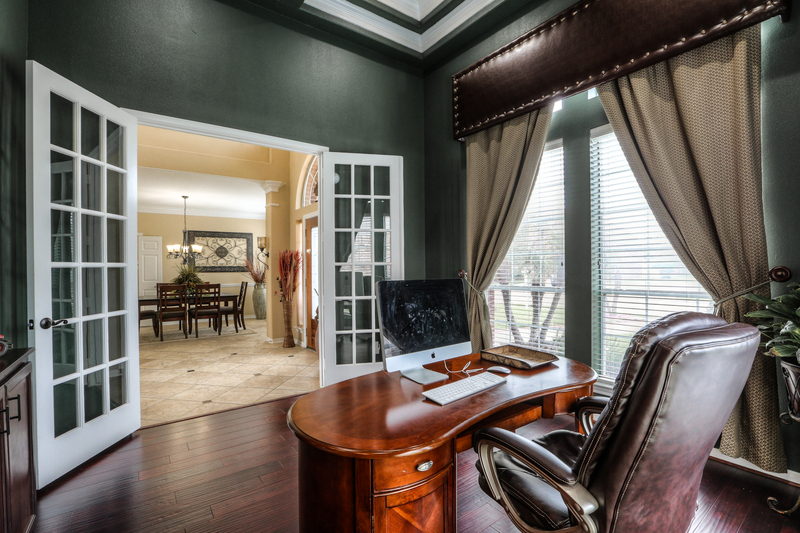 2 story entry leading to the formal dining and study with custom built-ins coffered ceiling and french doors. Gourmet kitchen with granite coutertops, stainless appliances, butler’s pantry, wine storage, walk-in pantry, and island with raised bar overlooking the breakfast and family room with cast iron fireplace. 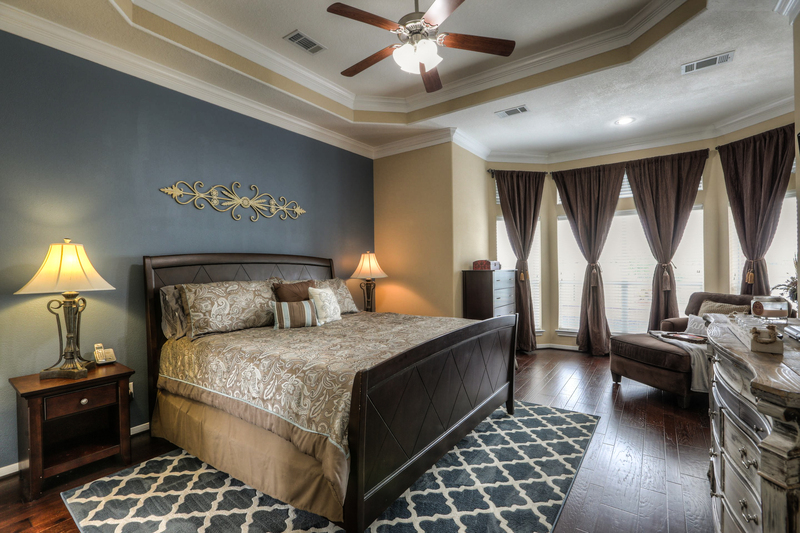 Perfect master suite with walk-in closet, granite countertops, iron sinks, oversized shower, 2 shower heads and soaker tub. Double wrought iron staircases lead the upstairs with 3 guest bedrooms, including 2nd master, 2 baths and gameroom with custom wood wall and built-ins. 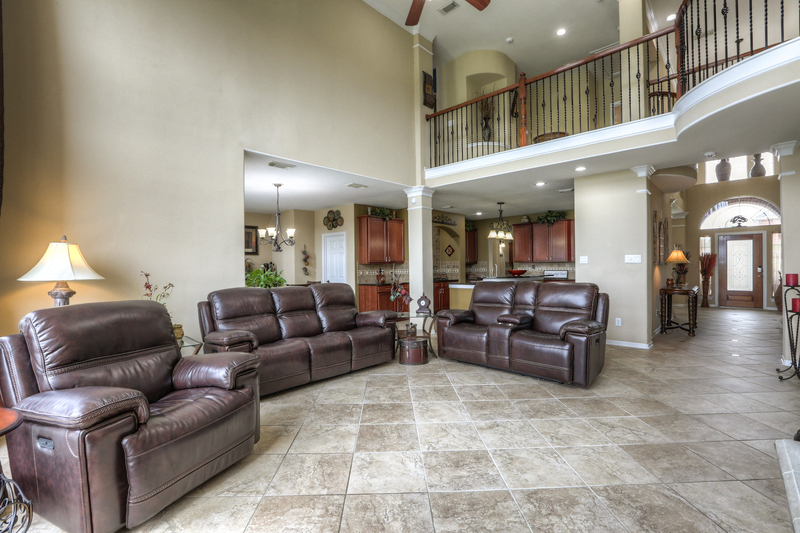 Upgrades through updated lighting, ceiling fans, extensive crown molding and wood floors. Tropical backyard with extended stamped concrete patio, pergula, pool, hot tub and amazing lakeviews. Great location with easy access to the Beltway, Medical Center and Clear Lake.